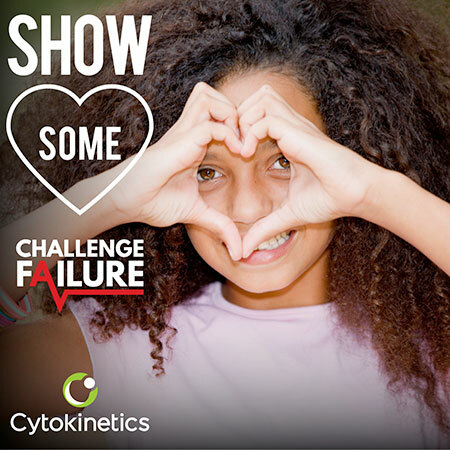 Post a photo of you showing some "HEART" and Cytokinetics will donate $5 to Challenge Failure. Share it to Facebook and they'll give another $5. 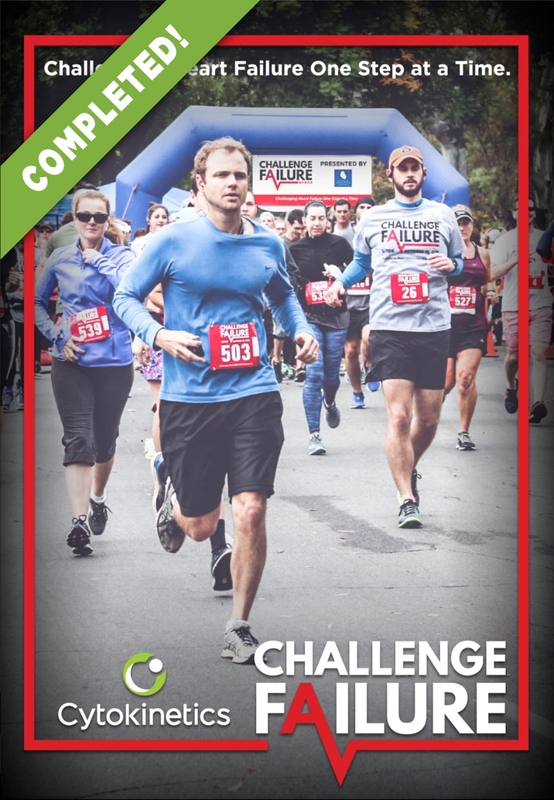 You can feel good knowing that your photo will unlock a $5 donation that will go to help support Challenge Failure. And if you share your photo to Facebook, you will unlock another $5. You can also feel good knowing that 100% of your donation will go to the charity. 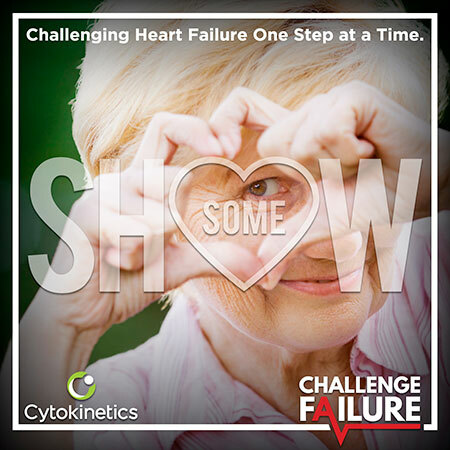 Challenge Failure was conceived by Robin Boriack, whose late husband Marc suffered from heart failure for many years before passing away in 2010 at the age of 52. Rather than surrender to the grief arising from his untimely death, the Boriack Family was struck with a special vision: to honor Marc’s life by helping others find hope and new life by supporting heart failure research. This vision became reality when the first annual Challenge Failure 5K & 10K Walk/Run was held in March 2011. Since its inaugural event, Challenge Failure has grown and touched the lives of many. We hope you will join us as we Challenge Heart Failure!